We're back at Tokyo Disney Sea! Expect more from the most beautiful theme park in the world in the upcoming months, because I went about three without posting anything outside of the Disneyland Resort, and I'm finally tapping into a new batch of Tokyo Disney photos. Today, we look at the grand view of Mysterious Island and Fortress Explorations, which is technically a part of the Mediterranean Harbor. This incredible playground is nestled near the center of the park and provides fun walk-through's and beautiful views of a wide swath of the park. But views of Fortress Exploration are wonderful as well, and everything about this shows why this Sea of Dreams is certainly a marvel. 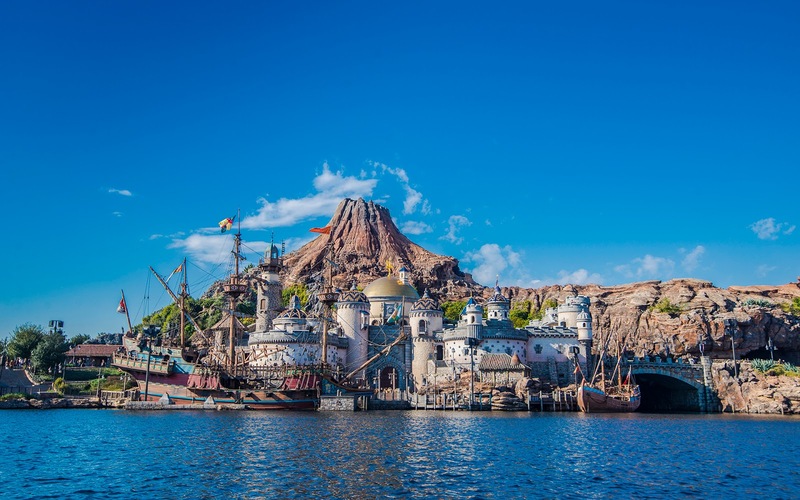 Beautiful Fortress Explorations looks magnificent at Tokyo Disney Sea.